Antari Bubble Liquid DJParts - All Variety of Parts that DJ Needs. Designed for use in B-100, B-100X and B-200 Bubble Machine. 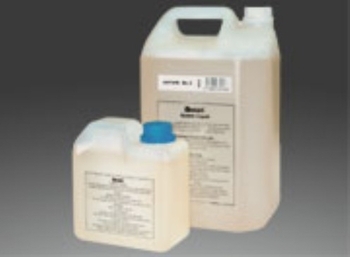 Antari Bubble Liquid is a water-based composition that leaves very few contamination. Colorless, odorless and non-flammable. This liquid is formulated to create the most transparent and vivid bubbles. Available in either one or five liter package.